I'd say I'm a pretty lucky girl. There's a whole handful of reasons to back this statement up, but one in particular that I'll emphasize right now. My boyfriend is that guy who loves to be with me, no matter what I'm doing. With our recent move into our new apartment, I'm going decorating crazy, so much of my free time is spent sifting through boxes and rotating photographs, vases and mirrors in and out of rooms. 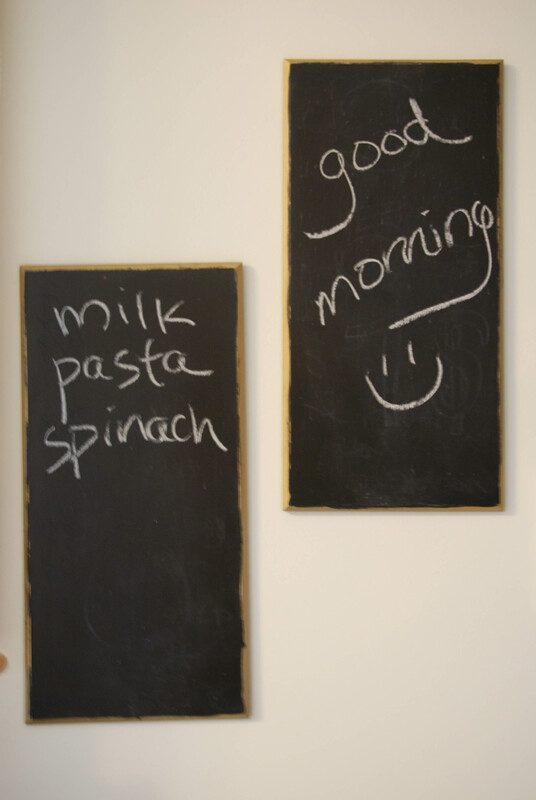 The one necessity I've [actually we've] discovered for an easy and quick project that adds functionality to a space is chalkboard paint. Now I'm jar obsessed... [I'll elaborate on that in a later post]. We store many of our food items in various size mason jars: spices, ice cream toppings, and different grains from quinoa to farro to oats. Even though the jars are transparent, when looking at them from above, it can be difficult and time-consuming to figure out what is in each. 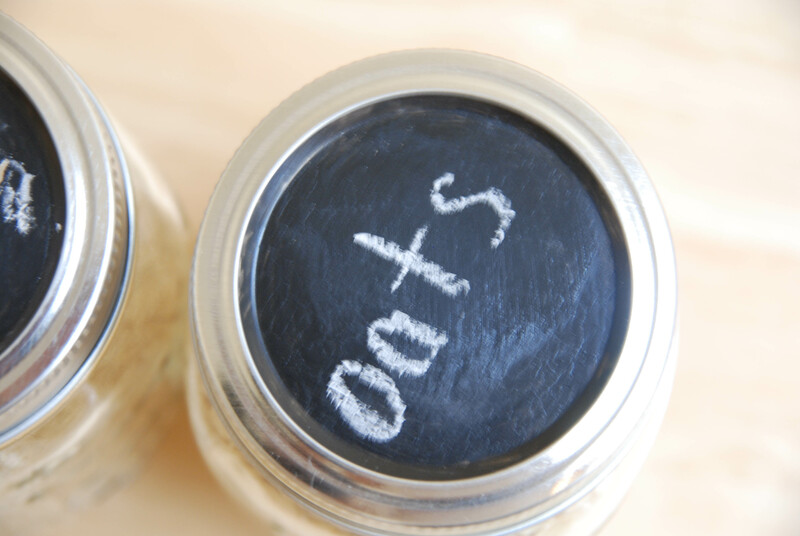 So together, we painted the lids of the jars with chalkboard paint [which can be found at your local art supplies store for less than $10]. A few coats were needed before the paint was completely opaque. Another trick we discovered was covering the lid with masking tape prior to painting, just to have a more absorbant surface for the paint. Chalkboard paint is awesome. I had two wood plaques adorned with a 70's style flower painting that I wanted nothing to do with. They were leftover from a cheap apartment decorating Walmart shopping spree back when I was in college. Instead of throwing them out, I decided to "upcycle" them into chalkboards. They function awesome in our kitchen for notes and lists and double as aesthetically pleasing wall decor. I challenge you to get creative and discover new ways to use chalkboard paint and let me know what you come up with!